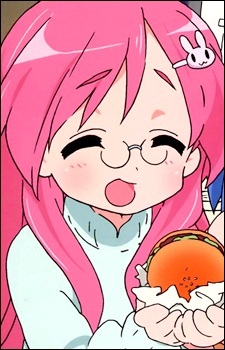 Hinata Miyakawa is a young girl with long salmon pink hair, which she ties just a bit to the left of her forehead with a rabbit clip; she has pink droopy eyes and is a meganekko. She makes a living through a job at a local dōjin shop. However, she remains poor, as all her money is spent on manga and dōjinshi.